Since moving into our own flat, I have become a little obsessed with all things candles, wax melts and just home fragrances in general. To me, there's nothing better than to come home, turn off the lights and light some candles. Not only is it super romantic but it also makes your rooms smell gorgeous! 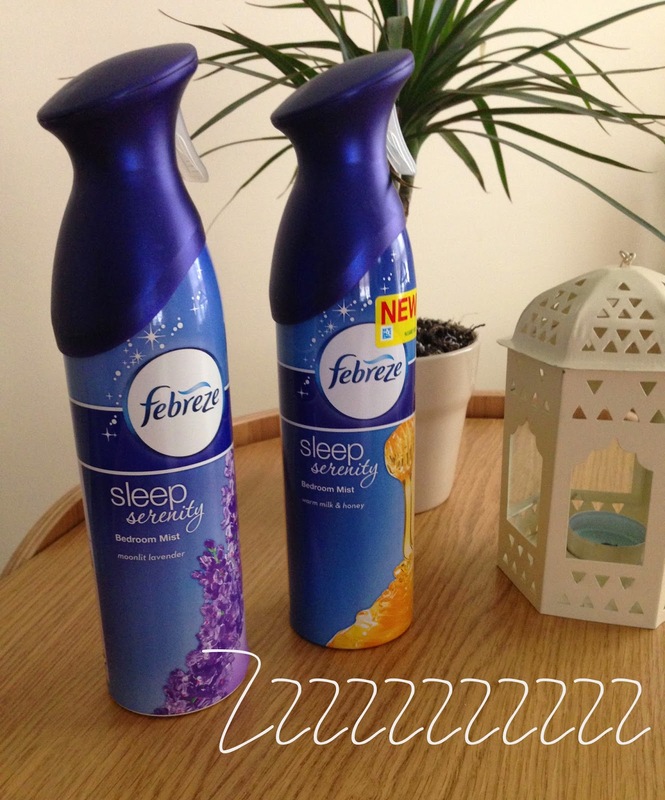 When I heard that febreze were bringing out a Sleep Serenity range with relaxing new fragrances, I knew I had to investigate. The idea behind the Sleep Serenity range is that the calming scents are meant to create a soothing bedtime atmosphere which is ideal for relaxation and to also give you a more peaceful night’s sleep. Now I don't really like the idea of sleeping tablets etc so the thought that a spray could help me get a good night's sleep seemed more appealing to me. 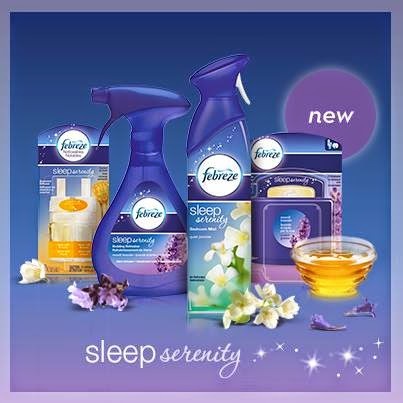 "Give your sleep schedule a tranquil touch, and rediscover peaceful sleep with the help of the Febreze® Sleep Serenity™ Collection. Try all three soothing scents, each specially blended to help you relax. Use Febreze Sleep Serenity nightly to help calm your senses and leave the day’s stresses behind, so you can wake up rested, refreshed, and ready to greet the day." Now I've been using these for a few nights now and I really don't want to start raving too much about them and saying how amazing they work, but it really does! Every night I've done relaxing and calming activities before I go to bed (e.g. turning off my phone, reading a book or having a bath) and then sprayed it around our bedroom just before we get into bed and I have to admit, my night's sleep has been so peaceful since! Part of me blames it on the cool nights and that I'm not constantly tossing and turning but the other half of me is convinced it was because of these sprays. Either way, I'm happy! The bedroom mists were on offer last time I went to Tesco so I managed to pick up Moonlit Lavender and Warm Milk & Honey for only £2 each! They didn't have the Quiet Jasmine which I was really gutted about but I wasn't going to let that put me off! I originally was just going to buy the Milk and Honey as I thought that would be my favourite as I am really not a big fan of Lavender (I HATE it) but I changed my mind and I actually ended up preferring the Moonlit Lavender more. Funny how things work out! Even if these products don't work, you can't say they don't sleep amazing. Even if you use it as a air freshener spray, it would not be a waste of money.